One of our favorite movie theaters is located in Litchfield, Illinois. West Side Cinema has good movie selections at a reasonable price for both the tickets and the snacks, but what we love is the amazing Coca Cola collection on display while you wait. 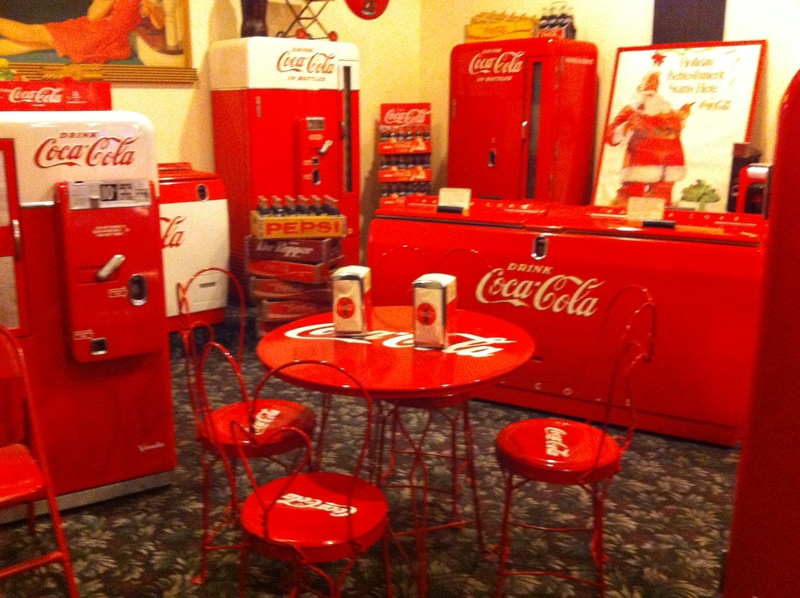 The collection has a wide array of anything Coca Cola from posters to machines to coolers. This is a great way for a wide group of people to see some antiques and collectibles without traveling to a museum, although there is enough Coca Cola items that this could surely be classified as one!